For their latest exhibition, the Royal Academy of Arts brings together an immense collection of American works from over 100 lenders of galleries and private collections, including works by some of the big name greats like Clyfford Still, Mark Rothko, Jackson Pollock and Janet Sobel to name but a few. 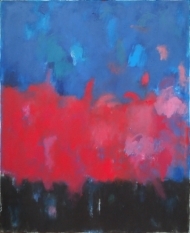 Abstract Expressionism is widely accepted as a ground-breaking moment in the development of modern art. Artists involved in the movement no longer wanted to recreate scenes from life but wanted their spectators to experience paintings physically - for us to 'feel' their emotion through the medium of paint, sculpture and so on. Their often-aggressive gestural marks also filled the entirety of the canvas, dispensing with traditional ideas of composition and geometry. Artists like Jackson Pollock poured, dripped and spilt paint, pushing their chosen materials to become free and as significant as the artist's hand. Abstract Expressionist artists weren't creating work just for academics or theorists either, but art for all. 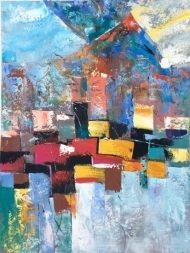 For this exhibition, the curator David Anfam, intends the viewer to be “immersed in colour” as they journey around the space. This is set to be not only the show of the year, but one of the world's most comprehensive displays of American Abstract Expressionism, and the legacy of Abstract Expressionism certainly lives on. 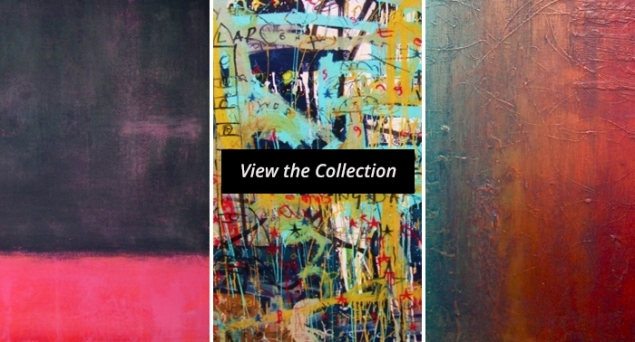 Inspired by this groundbreaking show, I've collected my top 10 artists on Rise Art who I feel provide a contemporary take on the Abstract Expressionist movement, so you can take the experience home. Spanish artist Luis Medina Manso explores colour through minimalist compositions, citing American Abstract Expressionism as his greatest influence. 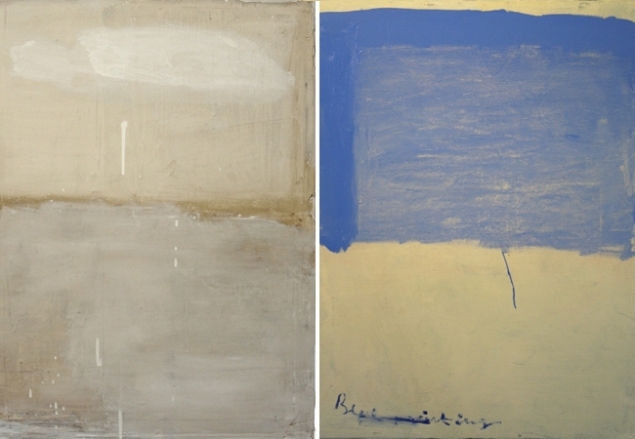 This work harks back to Mark Rothko’s most famous horizontal, restricted colour paintings. 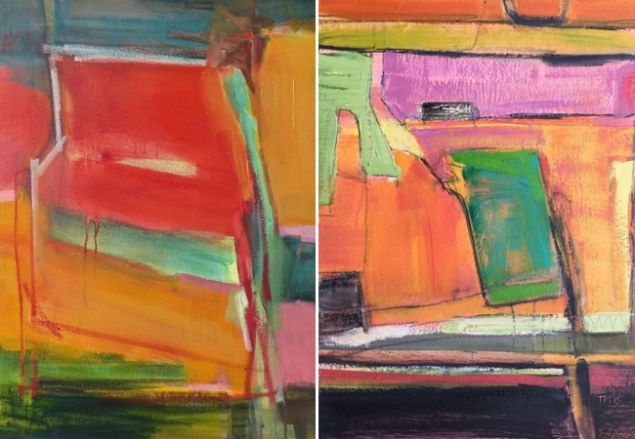 The light and space of Trudy Montgomery’s California dwellings are what inspires her most to create these uplifting abstract compositions. I’m intrigued by the way Peter Lamb presents us with a contemporary take on Abstract Expressionism. 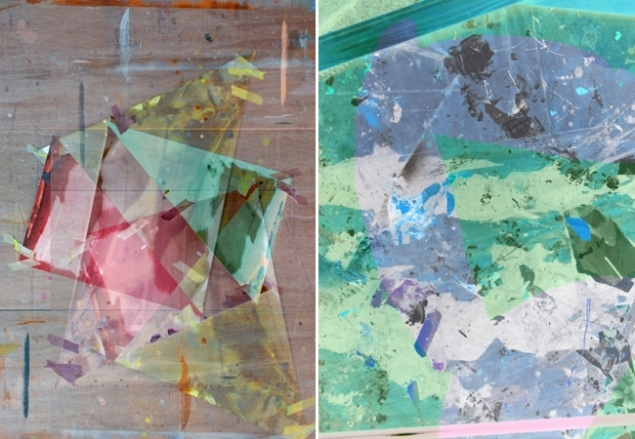 For this print he heavily processed an image of painted shapes on his studio floor using Photoshop until it became indistinguishable and abstract. 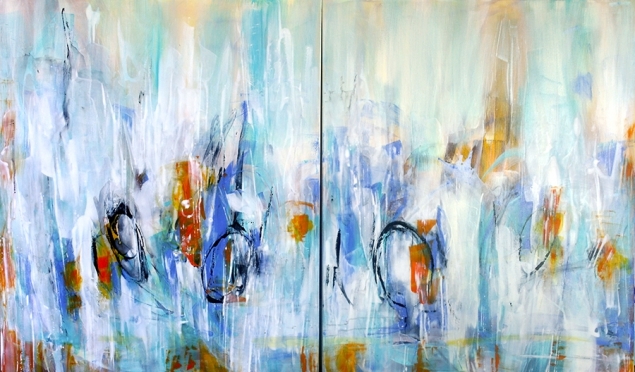 In the true spirit of the Abstract Expressionist artist Jackson Pollock, Kristin Gaudio-Endsley uses unconventional techniques like blowing and dripping, allowing her paint to create unexpected forms with a focus on their vibrant colour interplay. I’m drawn to Krista Kim’s colour field series because they respond to our daily exposure to LED lights through digital devices, so it’s no surprise that I’m mesmerized by their buzzing tones. 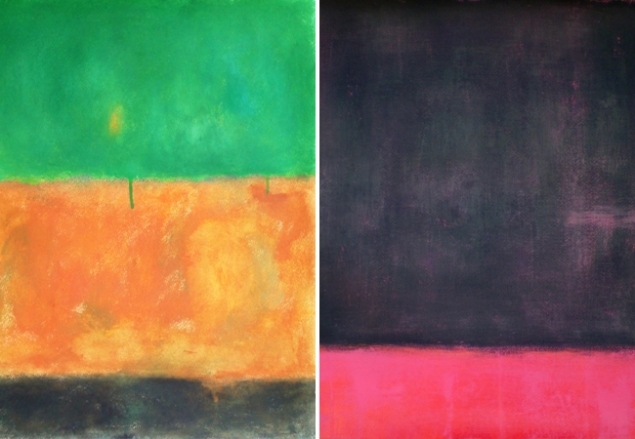 This work reminded me of Rothko’s famous works but utilizes more earthy tones. There’s a great sense of movement in Michelle Hold’s work, particularly in this vibrant and gestural painting. 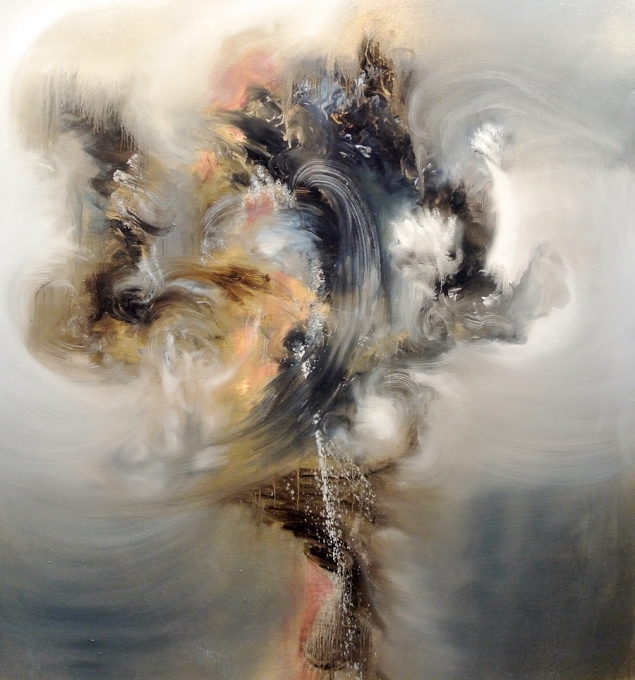 Fernando Velazquez’s work ‘Fohn’ takes inspiration from the dry wind on the Alps of the same name, capturing its violent movements through bold brushstrokes. Contemporary Chinese artist Jinsheng You presents us with impressive, expansive canvases using a bold interplay of colours. 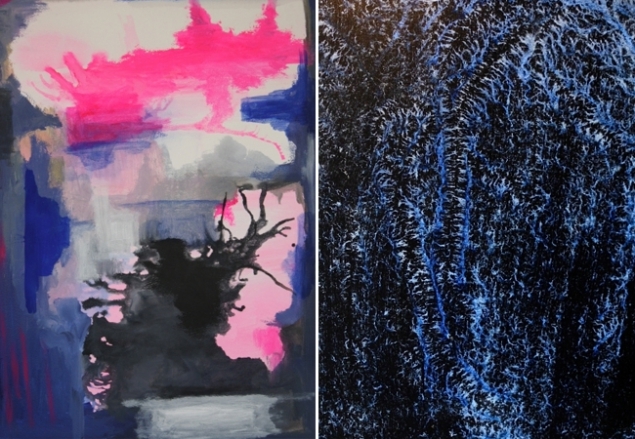 These works are inspired by the shifting landscapes he encounters every day. 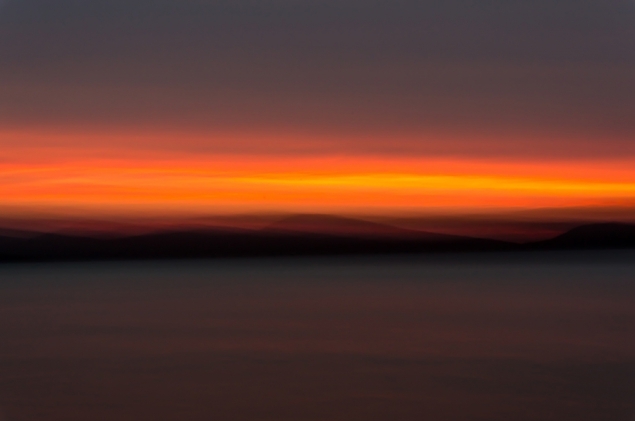 Kimberley Poppe admits a long-standing obsession with Mark Rothko and her long-exposure photographic technique captures a meditative quality. To celebrate the Royal Academy's star show, Rise Art's head curator Rebecca Gordon has curated a collection of works inspired by Abstract Expressionism – the big, bold, brash American genre whose legacy has stayed the ages. Jessye is an arts producer, writer, presenter and art historian. Her filmography includes arts videos for The Royal Academy of Arts and The Courtauld Gallery, as well as artist and musician interviews with established creatives, some of which have been screened at the Tate Modern and the BFI. When she isn't filming, she spends her days curating and promoting various events and exhibitions, and writing about art and culture for Tate's Art Exchange, The Artist Book Foundation, The Roundhouse, Devas Designs, and now Rise Art!